A quick-and-easy way to prepare pork chops for a simple weeknight meal. Melt butter in large skillet over medium heat. 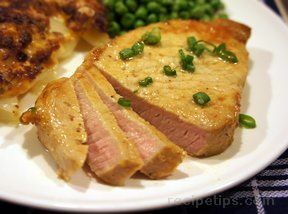 Trim fat on pork chops and then slice it at 1-inch intervals to prevent chops from curling as they cook. Pat pork chops with paper towels to remove excess moisture. Sprinkle well with lemon pepper seasoning on both sides. 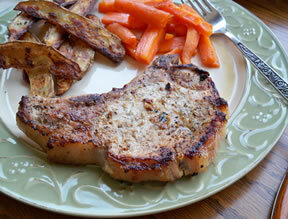 With a fork, repeatedly stick pork chops to propel seasoning into meat. Place in skillet with heated butter and cook until pork chops are done; do not overcook. 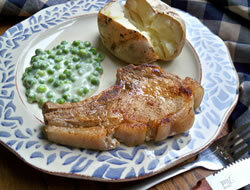 "These pork chops were pretty good but we wished we would have grilled them instead of frying them in a skillet. The lemon pepper was a nice accent flavor."